Jean Crotti (1878-1958) is a Swiss-born French painter whose restless spirit and insatiable desire to create an entirely new mode of artistic expression prevented him from developing a consistent and clearly recognizable style. Although he evolved through various phases of contemporary art—beginning with Impressionism and culminating with Cubism—his contribution to the Dada movement in New York during the years of World War I changed his life forever. He shared a studio with Marcel Duchamp, and later described this phase of his development as having been born “by auto-procreation and self delivery without umbilical cord.” In 1919 he married Duchamp’s sister, Suzanne, and together they established an artistic movement in Paris called Tabu, an offshoot of Dada. The only consistent element in Crotti’s work is his lifelong dedication to abstraction, which is the focus of this exhibition. 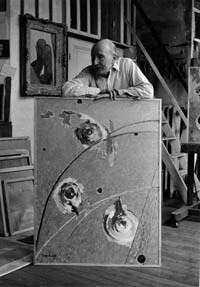 Abstraction emerges in Crotti’s work as early as 1911 and continues intermittently until the end of his life. 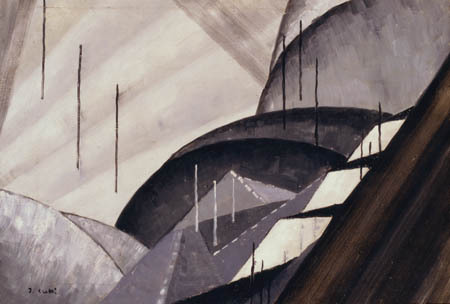 But even here Crotti’s abstraction was not pure, that is to say, without figuration or subject matter. Rather, his paintings were designed to capture the essence of an existence beyond our time and space, a world that can only be envisioned and occupied when equipped with the proper spiritual conviction, which Crotti unquestionably possessed. 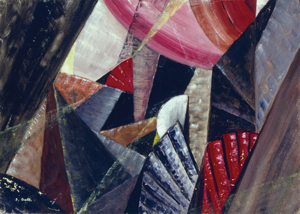 The show is subtitled “Inhabiting Abstraction” because, in certain instanced, Crotti placed representations of himself or others within an essentially abstract imagery, suggesting that he envisioned abstraction as a given and accepted fact: a physical phenomenon that surrounded him and with which he lived on a daily basis. The catalogue that accompanies this exhibition is the first general monograph on Jean Crotti published in the English language. 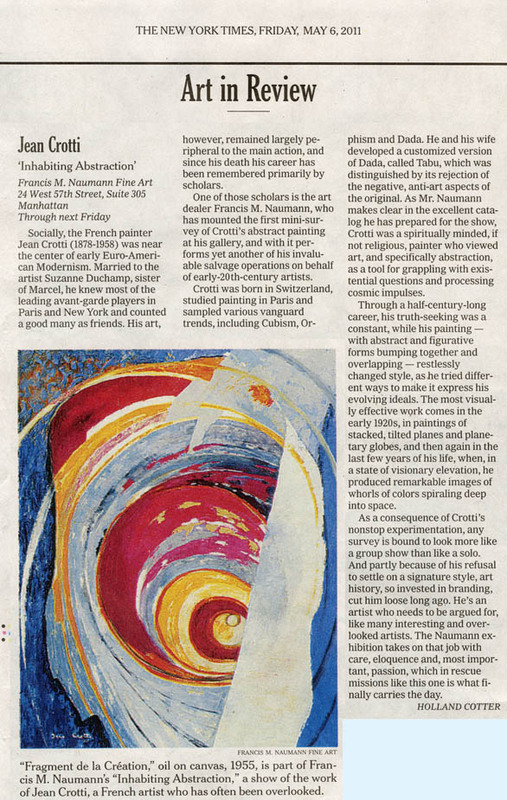 Crotti’s work has not been exhibited in New York for more than forty years, and this show is the first ever devoted solely to his abstract paintings. The catalogue is appended by a detailed chronology of Crotti’s art and life compiled by Jean Carlo Bertoli, author of the Crotti catalogue raisonné.